Our feet are definitely be one of the most neglected body part. I can say this myself and feel that majority of men and women would agree to this. The attention that we pay to our face, hands etc we hardly paid half of the attention and care to the feet. This is why feet can become rough, dry and filled with callous. 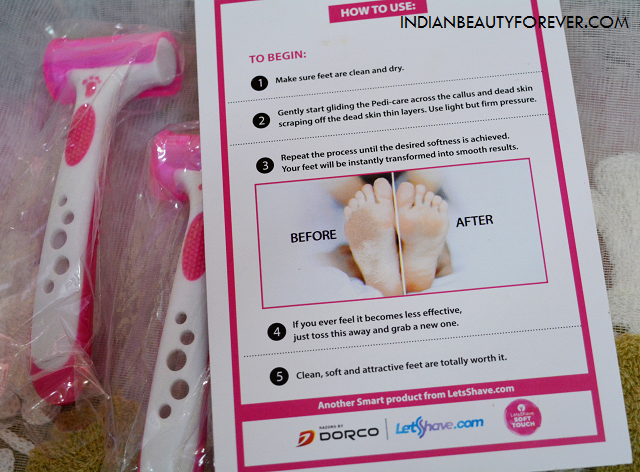 I will review this Let’s Shave.com Pedi Care razor which is a simple yet innovative idea to get rid of the dry skin, dead skin and callus effectively. 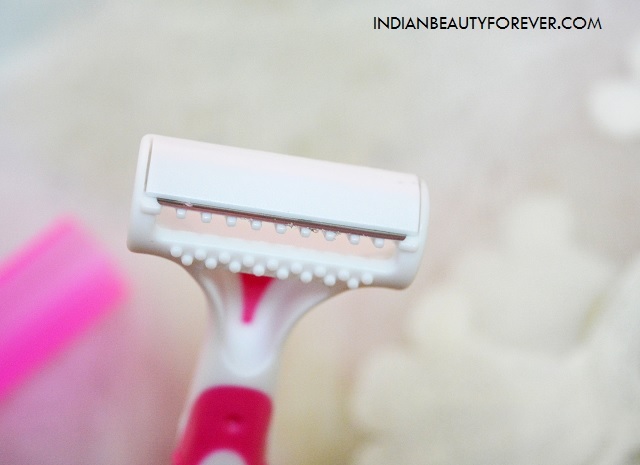 You may have used the regular razors so let’s see how this works. 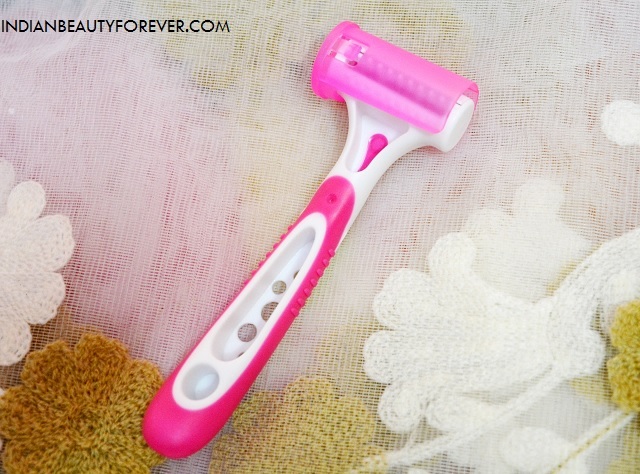 The razor is pink in color which reflects the feminine appeal of the product. There is a round cylindrical protective cap so that this can be worry freely carried in your toiletries pouch while you travel etc. Using this is very simple that there is no soaking of the feet etc rather this is used on the dry feet. You need to gently scare this over the dead skin on the sole of the foot and it will gently get rid of the dryness and the dead skin. Moreover this also reduces the callus on regular usage. But make sure you are gentle and not too harsh on the skin. Just try this and you will see that the feet look a lot smoother and free of the unwanted dead skin cells. I have used this twice and used more on my husband’s feet. Haha, since I roam around in the house with slippers on but he will not, this is why the dead skin cells, and roughness accumulates faster. I also try foot scrubs and as you know men would hardly do that, because of which there was dead skin and callus on this feet. He really liked this as this was convenient and easy. In fact, he uses this on his own now, The first time, I did tried it on him. 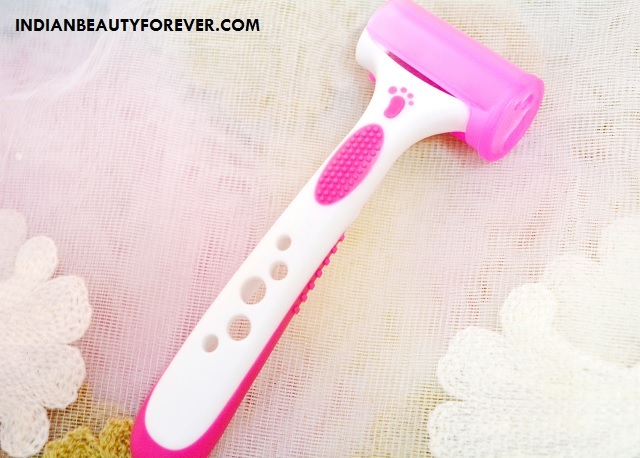 By this I mean to say that your brother, husband and male members can also use this. Once you feel that this is getting blunt then you can try away the old one and start use a new one.